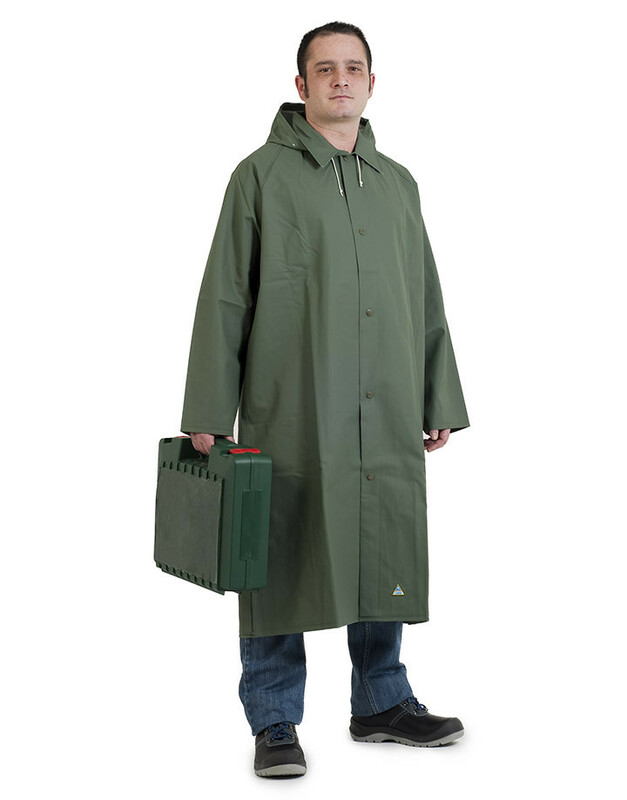 This PPE corresponds to a knee-length slicker. The front fastens with 5 snaps. The hood is fixed and adjusts with a nylon cord.